Although the current craze for jargon has mercifully by-passed our profession,you will nevertheless need some explanation of the different options on offer. Here, then, is your donkey-trekking vade mecum : The general rule to bear in mind is that a donkey carries 30 to 40 kg of luggage, and that one donkey is sufficient for from 2 to 5 people,depending on the circuit. There is also a proviso : all donkey-centres do not offer all the options. This option is provided in practically all the donkey-centres: it consists in a one-day walk along marked paths, presenting little difficulty. 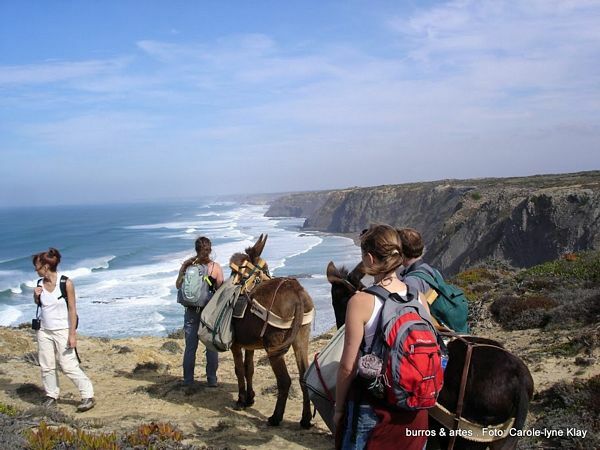 It enables you to discover donkey-trekking, to get to know the donkey, and of course to prepare for a longer walking holiday! You plan your own holiday, sleeping either under canvas, or in mountain shelters or more comfortable lodgings. You decide how far you want to walk and for how long, and you pay for whatever lodgings you require. This option is for experienced hikers who can read a map and use a compass. The donkey owner will give you advice, and may require you to make a few changes in your itinerary to comply with local conditions. The donkey-owner takes care of all the organisation of your holiday. He plans the itinerary, reserves board and lodging in your name and works out the whole cost. Depending on the region, available all-in holidays can be up to 10 days long. The guide organises the whole trek. His or her knowledge of and enthusiasm for the region will enrich your trek with lore about the local fauna and flora, geology, and present andpast rural life. His or her knowledge of and enthusiasm for the region will enrich your trek with lore about the local fauna and flora, geology, and present and past rural life.